Please see below several great postgraduate opportunities to work with the Science Museum and some fantastic universities and researchers! The University of Leeds Centre for the History and Philosophy of Science, in collaboration with the Museum of Science & Industry, Manchester invites applications for a fully-funded three-year PhD studentship (or 5 years part-time) on electronics and gender in mid 20th-century Britain. The project is especially suited to applicants with historical interests in gender, science & technology, and/or business. The studentship has been awarded by the Science Museums & Archives Consortium under the AHRC’s Collaborative Doctoral Partnership scheme. The project, due to begin in October 2017, will be supervised by Graeme Gooday and Alison Fell at the University of Leeds, and Meg McHugh at the Museum of Science and Industry, with Annie Jamieson at the National Media Museum in Bradford. This project looks at the mostly female workforce that brought about the enormous boom in British electronics after the First World War. This saw millions of fragile hand-made amplifying valves become essential components in the new technologies of radio, hearing aids, public address systems, automatic telephone exchanges, televisions – and Bletchley Park computers in the Second World War. Potential research questions include: why were women so much preponderant among the skilled workforce for electronics? How much did this new kind of manufacturing owe to women’s prior experiences in the textiles industry or to factory work during the Great War? Why did the electronics industry grow so fast and with whose innovations? How was improved quality control for fallible valve hardware accomplished: improved manual dexterity, innovative laboratory research or collaboration via the British Radio Valve Manufacturers’ Association? How can all of these stories be used to inform collecting practice and interpretation within the Science Museum Group’s large holdings of early electronic technologies? The PhD studentship will be based at the University of Leeds Centre for the History and Philosophy of Science and the Museum of Science and Industry in Manchester. The Leeds HPS Centre has a very active graduate programme, including currently around 30 research students, ten of which are AHRC Collaborative Doctoral Awards holders. The wider School of Philosophy, Religion and History of Science, within which HPS is wholly located offers a stimulating interdisciplinary environment for postgraduate research and has strong affiliations with the University of Leeds Legacies of War project and the Centre for Interdisciplinary Gender Studies as well museums within the Yorkshire region. The successful student will be encouraged to spend time working on site at the museums within the Science Museum Group, including the Museum of Science and Industry, the National Media Museum and the Science Museum in London. They will be expected to play an active role in the work of the museums, and will be encouraged to participate in the museum’s programme of events and publications. Please send completed applications to [email protected] by the 3rd April. Interviews will be held in late April or early May 2017. The Centre for the History of Medicine, Ethics and Medical Humanities at the University of Kent in collaboration with the Science Museum invites applications for a fully-funded three-year PhD studentship on artificial teeth in Britain, 1848-1948. The studentship award has been made by the Science Museums & Archives Consortium under the AHRC’s Collaborative Doctoral Partnership scheme. The project, due to begin in October 2017, will be supervised by Dr Claire L. Jones at the University of Kent and Dr Oisín Wall at the Science Museum. Artificial teeth ha ve long been important aids for the toothless, but from the mid-nineteenth century, these items became popular consumer items. Enabled by the increasing use of anaesthesia and the professionalization of dentistry, the number of companies producing false teeth from new, cheaper and easier to work materials rapidly expanded; a huge variety of artificial teeth and dentures became available in a market that eventually came to be dominated by the standardised sets made available through the NHS from 1948. What were the respective roles of manufacturers, dentists (professional and non-professional), retailers and the health and beauty industry in shaping this transformation? What were the main design features of artificial teeth and dentures during this period, and how and why did they appeal to patients/users/consumers? What was the relationship between supply and demand for these technologies? How did social conventions and variables (age, class, gender, geography etc.) affect patient/user/consumer choice for artificial teeth? How might research into artificial teeth be communicated to public audiences? For further details, or to informally discuss the studentship, please contact Dr Claire L. Jones. Please send applications to [email protected] by 1st May 2017. Interviews will be held in May 2017. The University of Leeds Centre for the History and Philosophy of Science, in collaboration with the Science Museum and the Boots Company Archive, invites applications for a fully-funded three-year PhD studentship on healthcare advertising in 20th-century Britain. The studentship award has been made by the Science Museums & Archives Consortium under the AHRC’s Collaborative Doctoral Partnership scheme. The project, due to begin in October 2017, will be supervised by Dr James Stark and Dr Adrian Wilson at the University of Leeds, Dr Oisín Wall at the Science Museum, and Sophie Clapp at Boots Company Archive. The project will investigate, compare and explain the use of language, expertise and authority in printed advertisements and publicity produced for public audiences and medical professionals regarding different healthcare products and campaigns in twentieth-century Britain. 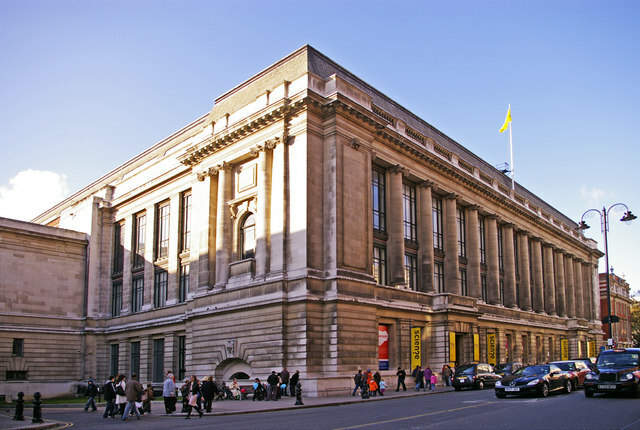 Drawing especially on extensive records at the Science Museum and Boots Company Archive the student will focus on three case studies across the twentieth century. This will provide a national picture of the interactions between healthcare producers and consumers before the NHS, shortly after it was founded, and once it was well-established. 1. How was the efficacy of products or services presented to different professional and public audiences? 2. Who were the targets of different medical advertising drives? How and why were they selected? 3. How did medical marketing utilise imagined futures centred around the eradication of disease in order to sell products? 4. What techniques of advertising were used, and how did these differ over time and as between commercial and public-health campaigns? 5. What do different advertising techniques reveal about how particular medical concerns were viewed, or perceived to be viewed, by audiences? The PhD studentship will be based at the University of Leeds Centre for the History and Philosophy of Science and the Science Museum. The Leeds HPS Centre has a very active graduate programme, including currently around 30 HPS research students, ten of whom are AHRC Collaborative Doctoral Awards holders. The wider School of Philosophy, Religion and History of Science, within which HPS is located, has strong affiliations with the cross-School Centre for Medical Humanities, and offers a stimulating interdisciplinary environment for postgraduate research. Candidates should have, or expect to attain, a good degree and should meet AHRC eligibility criteria:http://www.rcuk.ac.uk/documents/documents/termsconditionstraininggrants-pdf/. Applications should include: a curriculum vitae (no more than 2 sides of A4); a sample of writing (3,000 words max); names and contact details of two academic referees; and a covering letter including a 500-word research proposal on the above project. For further details, or to informally discuss the studentship, please contact Dr James Stark. Please send applications to [email protected] by the 24th March. Interviews will be held in April. The Science Museum and the University of Leicester are pleased to invite applications for a three-year plus 6 months (42 months) AHRC Collaborative Doctoral Partnership PhD Studentship, starting on 1 October 2017. The award is made by the Science Museums and Archives Consortium, which is part of the Arts and Humanities Research Council’s Collaborative Doctoral Partnership scheme. The project will be supervised by Professor Simon Gunn and Dr Sally Horrocks, at Leicester, and Dr Oliver Carpenter, Curator of Infrastructure at the Science Museum and Dr David Rooney. The successful candidate will undertake a project about how new scientific and technical approaches to mass automobility and road safety (including pollution) were created at the highpoint of Britain’s ‘motor age’ in the 1960s. The project examines the experimentation with new technologies through applied research carried out in government agencies such as the Road Research Laboratory. The experiments include developing innovations, such as the driverless car and seat belts, as well as testing devices designed to reduce accidents, such as anti-lock brakes and road safety furniture. There is scope for the student to define the PhD project in alignment with their areas of interest. The project involves two main collections: different types of road safety objects held by the Science Museum and the papers of the Road Research Laboratory, Ministry of Transport and Department of Scientific and Industrial Research at the National Archives. Archival research will help contextualise the Science Museum artefacts related to road safety and provide insight into the processes of research which helped to create a new safety culture on British roads at the period. As well as being based in the Centre for Urban History at the University of Leicester, the award holder will also be part of the team at the Science Museum and contribute to the public understanding of their collections. We are looking for a highly promising student who will relish the opportunity of combining academic research with the experience of working as part of a professional team of museum curators. Individuals with a background in post-war British history, history of science, technology and medicine, science and technology studies, sociology or geography studies are encouraged to apply. The appointee will be expected to attend relevant training courses run for doctoral students within University of Leicester and at the Science Museum. Applicants must have a first-class or high upper second-class honours degree (or equivalent qualification) and meet the University’s standard English Language entry requirements. It is expected that applicants will have a related Master’s degree with merit or distinction, or be able to show evidence that they will achieve this by September 2017. Subject to AHRC eligibility criteria, the scholarship covers tuition fees and a grant (stipend) towards living expenses. The national minimum doctoral stipend for 2017/18 has been set by Research Councils UK at £14,553. In addition the student has access to up to £1000 per annum from the Science Museum for research-related costs, and to Student Development Funding (equivalent to an additional 6 months of funding per studentship) to allow time for the student to take up further training and skills development opportunities that are agreed as part of their PhD programme. The student also benefits from staff-level access to the Science Museum’s collections, expertise and facilities, as well as from the dedicated programme of professional development events delivered by the Science Museum in tandem with the other museums, galleries and heritage organisations affiliated to the Collaborative Doctoral Partnership scheme. Further information about this collaborative research project (including academic and eligibility criteria), and full details on how to apply can be found in the further particulars, here:http://www2.le.ac.uk/departments/history/postgraduate/collaborative-doctoral-award-opportunities. We invite applications for a 3.5-year fully funded PhD studentship, beginning in October 2017, to explore the history of model engines and other demonstration equipment in education and museum display. The project is a collaboration between the University of Manchester, UK, and the Museum of Science and Industry (MSI) in Manchester, and is funded by the Science Museums and Archives Consortium within the Arts and Humanities Research Council Collaborative Doctoral Partnership Scheme. Model devices and demonstration equipment have found a wide variety of uses as tools for technical education, sources of public spectacle, aids to informal learning in museums, icons of industrial heritage, and physical symbols of the technological future. Through case studies of museum development and industry-teaching relations in twentieth-century Manchester, this project will chart how approaches to machine display have changed over time, exploring past practices to find possible lessons for present-day interpretation. Research will focus particularly on the challenges and opportunities of displaying working artefacts, such as model engines, and the meanings of “authenticity” in demonstration. · What roles have objects and material culture played in promoting learning on technical topics? Did Manchester’s unrivalled position as the hub of a diverse production culture for plant and instrumentation give it unique educational opportunities? · What are the options in dealing with objects that can be worked for display, such as model steam engines? What approaches have past exhibitors taken to the trade-off between conserving machines and displaying them in use? What attitudes have exhibitors and their audiences taken to the use of replicas and the importance of authenticity? · What can we learn by considering an expanded definition of “technical education”, going beyond the traditional focus on formal classroom- and workshop-based study to consider the roles of on-the-job training, self-education and informal learning in an industrial city? · How far can we establish who were the intended and actual audiences for formal or informal learning on technical topics, and how they responded? · What lessons can this history offer for Manchester’s self-presentation as a city with a distinct scientific and technological identity and agenda today? The project will draw strongly on the Museum of Science and Industry’s collections of powered machinery and technical education artefacts, and on its holdings of archival material from a number of local industrial firms. The student will have an institutional base at the University of Manchester’s Centre for the History of Science, Technology and Medicine (CHSTM), but will spend a significant amount of time on site at MSI, and will receive appropriate training in dealing with collections and archives. Research from this project will contribute to MSI’s planned redisplay of its Power Hall displays, and to longer-term gallery planning. The studentship will begin in October 2017. It is funded for 36 months, plus (subject to successful completion of the main project) a further 6 months, supported by the AHRC Student Development Fund, to allow the student to contribute further to MSI gallery development working directly alongside members of the Collections Department. Applicants should have, or expect to receive by October 2016, a good Master’s degree in the history of science/technology, general history, museum studies, science and technology studies, or another subject closely relevant to the themes of the project. In some cases we may be able to consider relevant professional experience in place of a Master’s qualification: please contact the academic supervisor for guidance before applying. All applicants should also have at least an Upper Second-class undergraduate degree (or non-UK equivalent: see www.gov.uk/government/publications/overseas-degree-equivalency-table-and-methodology). The award is subject to the Research Councils UK eligibility requirements, listed under Terms and Conditions of Research Council Training Grants at www.rcuk.ac.uk/funding/grantstcs/. Typically, applicants for a full award including living allowance must have no restrictions on how long they can stay in the UK, and have been ordinarily resident in the UK for at least 3 years. Students from EU countries other than the UK are normally eligible for a fees-only award, if ordinarily resident in the EU. directly to the academic supervisor, Dr James Sumner, at [email protected]. Informal enquiries about the project are welcome. Shortlisting will take place in early April, and shortlisted candidates will be asked to attend interview onTuesday 18 April at MSI in Manchester. and makes use of the Society’s collections. The award is made by the ‘Science Museums & Archives Consortium’, which is part of the Arts and Humanities Research Council’s Collaborative Doctoral Partnership scheme. Due to begin in October 2017, the project will be supervised by Professor Hayden Lorimer and Dr Simon Naylor (University of Glasgow) and Dr Catherine Souch (RGS-IBG). of surface landforms; explain the nature of geophysical, hydrological, fluvial and coastal processes; reveal subsurface geological structures; and, show differing kinds of human response to environmental setting. Through a combination of archival research, biographical inquiries and material culture studies, the project will place geographical relief models, and the unheralded work of the relief modeler and commercial supplier, amid wider cultures of popular science and pedagogy. During the course of the studentship, there will be opportunities within the public programmes of the RGS-IBG to present and display emerging research to public audiences. Applicants should have a good undergraduate degree in Geography, History, History of Science, or other relevant discipline, and, a Masters-level degree that satisfies AHRC eligibility requirements for advanced research training; or equivalent professional/occupational experience. Preference may be given to candidates with prior experience of working with museum collections and material culture, though this is not an essential for application. Professor Hayden Lorimer, School of Geographical and Earth Sciences, University of Glasgow, Glasgow G12 8QQ ([email protected]) no later than Monday 20th March 2017. Interviews are scheduled to take place at the University of Glasgow on Tuesday 18th April 2017. For further information concerning the project, please contact Hayden Lorimer ([email protected]).